Today is the day I vanquish my demons. Today, I embrace that which has kept me up at night. Today, I tell you the real truth behind my nightmares. Imagine being so scared you couldn’t sleep, tossing and turning over and over again all because some genius chef couldn’t do maths properly. Anyway, enough of the time wasting today I’m here to tell you about something very important….spaghetti. I know what you’re thinking, “how can spaghetti keep you awake at night it’s delicious?” Well you will soon find out and you may also be scared to sleep at night. Can you argue with the fact, the world loves spaghetti? Once upon a time I, like everyone else, would look forward to the next time I was having spaghetti. I would look at the weeks menu and silently sob if a meal didn’t include it. Meatballs, Bolognese, Carbonara, Halloween sausages, they all meant only one thing, another portion of spaghetti. But now every time I want it I feel sick. One sunny summer’s day I was watching my road man dad prepare it, I noticed it’s just too long isn’t it. How can you get it in the pan? Its long, its strong and like the loo roll, it goes on and on. My grandparents even reminisce, that before the 20th century it used to be even longer. Dry spaghetti is now roughly 25-30cm long. Why has it got shorter? It’s nothing to do with Aldi and Lidl trying to keep costs down. Tesco have even done it and the posh people that go to Waitrose even have the same problem. 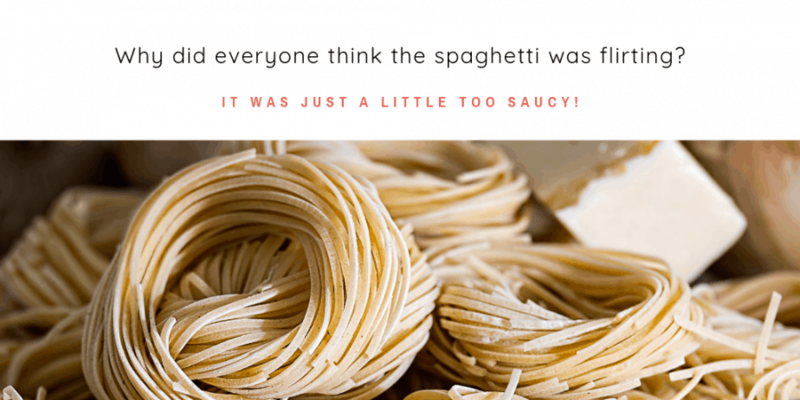 Spaghetti makers made it shorter for only one reason, they knew but didn’t dare advertise, spaghetti is just too long. But they all bottled it, they only did half the job, it’s still too big. This is a saucepan shocker. I know. But this saucepan is special. ‘How?’ – you are wondering. Well this is the largest saucepan that can cook spaghetti. This pan only measures 8 inches (20 cm) whereas , spaghetti is 25-30cm. This leaves an outrageous 5-10 cm of spaghetti left out. Therefore, even the largest pan can’t immediately cook spaghetti. Even the pan makers are in on the spaghetti secret shenanigans. It would be simple to solve. A rectangular pan would fix everything. Loaves of bread aren’t round, they are rectangles, why is bread so special? Why is bread aloud to have rectangular cooking tins when spaghetti has to deal with ridiculously small round ones? Over recent years, mankind has eradicated some of the biggest problems around. The gender pay gap is being addressed as we speak. Slavery was wiped out and we spend months of hard slog in our history lessons discussing why it was so cruel. I am suggesting we invent a new word “spaghetti-ist” or “spaghetti-ism” against short spaghetti . A rectangular pan would use less water, it would boil quicker, it would fit the spaghetti. But, think, I have nearly fooled you all that this is the ideal solution. Oven hobs are round not rectangular. It’s ridiculous that I even suggested a rectangular pan, You are all fools to even allow me to speak of this idea. To cook spaghetti you have all the hassle, struggle and just outright annoyance of having to make it fit in the pan. Don’t worry I know what you’re all thinking. How does Charlie cook spaghetti? Once again you have all been fooled. The real question you should be asking is, How does Charlie’s Mum cook spaghetti? Well, to even watch, it’s a very stressful situation. My mum snaps the spaghetti in half. This is full of problems. Is it exactly in half? Who gets the bigger half? How do you measure spaghetti when its immersed in boiling hot water? How big a bunch of spaghetti is possible to break at once? What happens to the small bits that fracture off during the snapping operation? As a result, Mum barely gets to cook spaghetti as Dad, takes over. Dad confidently takes on the spaghetti task. Does it go well, NO! He dips half the spaghetti in boiling water, then once cooked, he slowly pushes the the rest of the spaghetti into the water. Shouting in pain, he scolds the tips of his fingers in the simmering water. As he jerks his hand back from the pan, boiling water splashes all over his clothes and leaves a watery mess all down him. Mum, mutters from a distance, I told you to snap it, I won’t tell you again. Some people wouldn’t see the problem with this but the correct people would agree this is a pointless waste of time and as some famous guy once said : time is money. So , what do I want from this? I want change. I want spaghetti to be smaller and therefore fit in the pan straight away. Now for those of you thinking why don’t we just make bigger pans? well that’s just stupid because: the bigger the pan, the bigger the cupboard needed to store it in. The bigger the cupboard, the bigger the house required. The bigger the house, the more green belt is destroyed. The less green belt, the less trees, the less oxygen, the quicker the greenhouse effect, the end of the world, all from spaghetti. I have a dream that one day on we will all be able to sit down together at the table of brotherhood, all eating spaghetti that is finally the correct length. PreviousPrevious post:Advanced Reading Exercise, Week #2.